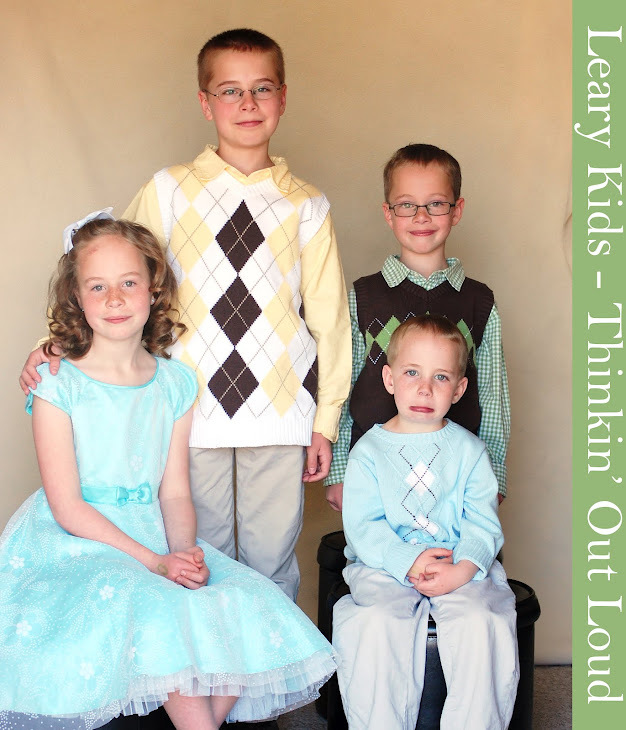 Leary Kids - Thinkin' Out Loud: Smile Ellis! During the Primary Program at church today, Gordon's teacher told him that if he sang I would smile at him. Gordon was really singing. He was so loud and just really into it. Everyone was kind of giggling at him. I was smiling. Seth was smiling. Ellis was not smiling. After the song Gordon said in a VERY LOUD whisper, "Ellis. You are supposed to be smiling at me!"